Pathos – A passion for the subject. Logos – A thorough knowledge of the subject. Ethos – The acknowledged credibility to comment on the subject (requires Pathos and Logos). 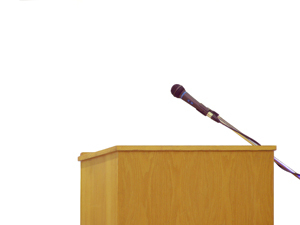 Every aspect of speaking must address at least one (if not all three) of these areas. I hope to tell stories of how I used these in the many successful presentations I have offered to appreciative audiences.